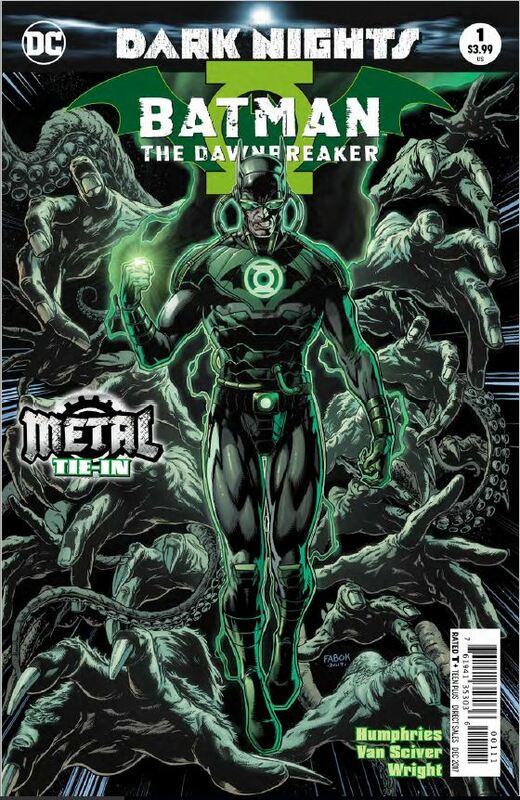 Batman: The Dawnbreaker #1 Review – AiPT! He is cold and calculating, but chooses to end his foes in twisted, obscene ways. In discussing the archetypal hero, I often hear Batman brought up as the Warrior or the Gothic Hero, the Defiant Anti-Hero or the Superhero. There are solid arguments for all of these, and Batman certainly embodies each at different times. Out of the twelve archetypal heroes, however, I argue firmly that Batman is the Unbalanced Hero. He watched his parents die, murdered in an alley. He spent the rest of his life dressed as an image of primal fear, using Bruce Wayne as a mask. The biggest “what if” for me, as a fan of both comics and literature, is what would happen if the balance were tilted just enough in the wrong direction. In The Dawnbreaker, we see balance overturned and what could happen if a tragedy turned into a massacre. If anything ties this series together, it will be the manipulation of that critical, tragic moment in the life of Bruce Wayne, the one we have to watch over and over again as Batman contemplates his life and journey. In Dawnbreaker, young Bruce Wayne broke in that moment. He broke and his will for vengeance destroyed his ability to fear. Enter the Green Lantern’s ring, seeking that force of will and finding a boy so filled with hate that he overcomes the ring and lets darkness in. Darkness. Man’s first fear. Embraced and harnessed by a boy with the will to overcome the power of the Green Lantern’s ring. Later, as the man, he is confronted by Jim Gordon — called to answer for the horrible murders of Gotham’s super criminals, he shows how a lack of fear transforms into a lack of empathy when honed in the dark. And having the ring, the shining beacon of light in the DC Universe, call out for a blackout while unleashing the horrors that we imagine live in the dark, just out of our view, is terrifying on a visceral level. In the dark there are monsters, and they are led by a man with unlimited power. Ethan Van Sciber has packed every inch he can full of the unnamed horrors that haunt Dawnbreaker’s cracked mind, but, in pairing with writer Sam Humphries, knows exactly where a black panel will pull the most impact with the reader. I am blown away by the extremes already taken in telling this Batman’s story. He is cold and calculating, but chooses to end his foes in twisted, obscene ways. Humphries has pulled no punches with Dawnbreaker and I shudder while I commend him for the work. In the end, Dawnbreaker is driven by the same thing that drives every Batman: the grief for his parents and the frustrating impotence in not being able to change the past. This temptation is what the Man Who Laughs exploits to bring the only Batman who kept the Green Lantern’s ring to the literal dark side. He will get what he wants. He will get his parents back. He will be made whole. He only has to extinguish the light of the multiverse. Initializing Blackout. I am blown away by the extremes already taken in telling this Batman's story. Humphries has pulled no punches with Dawnbreaker and I shudder while I commend him for the work. Cracking a Green Lantern ring?! As a ten-year old?! Awesome! It's almost too dark. Almost.